Today’s Job of the Day comes to us from Tri-State Motor Transit Co.
Tri-State Motor Transit Co. is the national leader in specialized, high-security transportation hauling specialized freight. This includes firearms and ammunition for the military as well as explosive waste and hazardous waste. 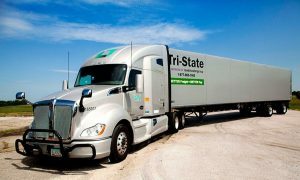 Tri-State Motor Transit is hiring Long Haul Hazmat Team Drivers nationwide. The job of the day offers great pay, bonuses, benefits, and much more. 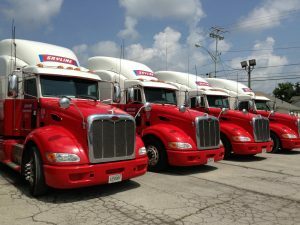 In addition, Tri-State offers best in class equipment with the newsest Kenworths, Peterbilts, Volvos, and Freightliners. Also, their entire fleet has E-Logs, refrigerators, CB Radios, SiriusXM, and comfortable sleepovers for driver comfort. In addition, Tri-State asks that applicants be at least 23 years old, have a CDL A license, and have Hazmat and Tanker special endorsements. 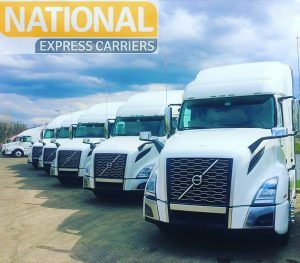 All Seasons Express is a private trucking company located on Market Street in Kalamazoo, Michigan. Their business is part of a family-owned company, and prides itself on their commitment to quality and excellent customer service. Overall, their mission is to remain committed to providing the highest quality service in the market. All Seasons Express is hiring local CDL A drivers for mid-range and OTR routes. 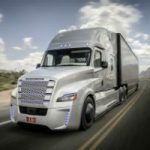 The driver will be running general freight, pharmaceutical loads, frozen loads, and seasonal flowers out of the Kalamazoo, MI hub. Also, they offer group health insurance, 100% vested simple IRA with company match, free life insurance, weekly pay, paid vacation, and more. In addition, they ask that applicants be at least 21 years old and have a CDL A license. Arielle Pardes recently wrote an article for Cosmopolitan magazine called “13 Things I Wish I Knew Before I Became a Long-Haul Truck Driver.” While the story focuses on her role as a female driver, much of Pardes’ driving experience is universal. 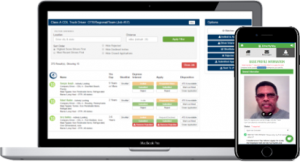 Men with CDL trucking jobs will be able to relate to her observations as well. Here are the highlights from the article. Give it a read and see if you share her experience. 1. Driving trucks is more like a lifestyle choice than a regular job. This is not the kind of job where you’ll be home for dinner every night. You stay out, driving shipments back and forth, for weeks at a time, and then you get a couple days off back home. It’s impossible to have a real life because you’re always on the road. 2. Don’t stress out about finding a job. There’s a huge shortage of truck drivers, so getting hired is basically as easy as getting your commercial driver’s license. It’s a 10-week program to get the certification, and by the time mine was over, I had a job lined up with a company. Some companies will even pre-hire you and pay for your training, which makes it really easy to break into the industry. 3. The starting pay isn’t great, but you can move up the pay scale pretty quickly. When I first started driving, I was making 27 cents for every mile that I drove, which equated to around $35,000 a year — so, not great. But by the time I quit three years later, I was making $55,000 a year. Pay raises are regular, and your rate goes up if you hit goals each quarter, like making on-time deliveries, driving without accidents, staying under the speed limit, and having more years of experience under your belt. 4. You’re constantly traveling, but you don’t get to be a tourist. In a day, you could easily clock 600 miles; in a week, you could span more than 3,000 miles, or double if you’re team driving. That’s an insane swath of the United States to cover — and yet, you won’t experience anything you can’t see from the highway. Sure, you’re passing through lots of cool places, but you’re on the clock and you can’t just park your truck somewhere and go sightseeing. 5. Even with all of the downsides, there are some beautiful moments. If you Google “best things about being a truck driver,” you’re not going to find much. But for the right person, there’s a lot to appreciate: You get to be in charge of your own schedule and how you spend your time in the truck. You can save a lot of money, since your living expenses are minimal while you’re on the road. And the views from the driver’s seat beat any office window. Read more here to see what else Arielle Pardes wishes she knew before becoming a long-haul truck driver. Featured image from Pixabay.com. Interior image from Getty.com, as pictured in Cosmopolitan magazine.